Who would have thought you would be able to change the TV station with only your voice? I thought it was great when the remote came out and you could change the channel with just a click of a button. Growing up we had to get up and turn the dial on the Television to change the channel. Now DISH has gone there with Alexa Voice Command. You can turn the station pause live tv or browse for your favorite movies or tv shows all with your voice. DISH is changing the way that people watch TV with Amazon Alexa. 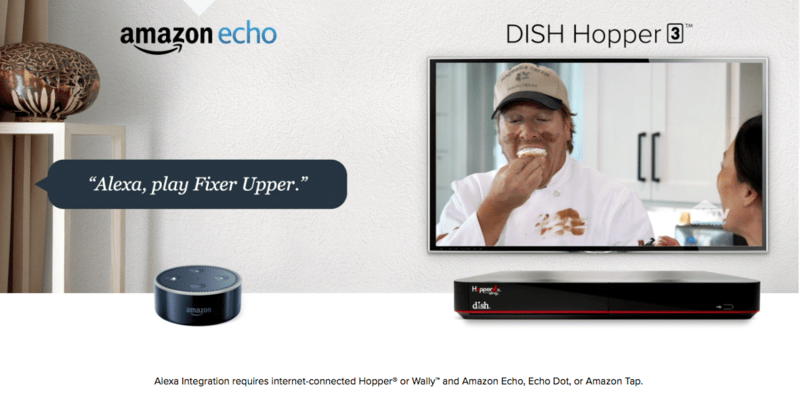 Available today, DISH customers with a Hopper or Wally and an Amazon Echo, Echo Dot or Amazon Tap can watch hands-free TV with Alexa. DISH is the first TV provider to offer direct compatibility with Amazon Alexa. Users with an internet-connected Hopper (any generation) or Wally can ask Alexa to navigate, play, pause, fast-forward, rewind and search content based on channel, title, actor or genre. Universal search functionality works across DISH’s live, recorded and on-demand titles as well as Netflix’s selection of TV shows and movies. Below are examples of spoken commands. Just incase Alexa Voice is not enough now you can also now use DISH Anywhere app experience to customers’ big screen televisions through Amazon Fire TV products. How cool is that? 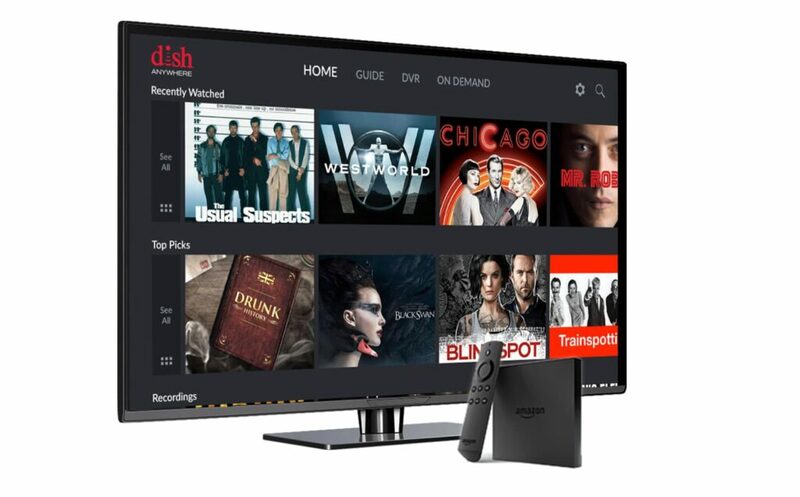 DISH extended its DISH Anywhere app experience to customers’ big screen televisions through Amazon Fire TV products. This marks the first time customers can use a media player to seamlessly access DISH Anywhere on any TV with an HDMI input, either at home or on the go. DISH Anywhere gives Hopper customers the ability to watch 100 percent of their live and recorded content, plus thousands of on-demand titles, from any location on Internet-connected mobile devices, including smart phones, tablets and computers, and now televisions. Amazon Fire TV and Fire TV Stick are the first media players to offer DISH Anywhere. DISH customers with an Internet-connected Hopper 3, Hopper 2 or a first-generation Hopper connected to a Sling Adapter have access to live, recorded and on-demand content on DISH Anywhere. Customers with VIP receivers may use DISH Anywhere to watch on-demand titles.